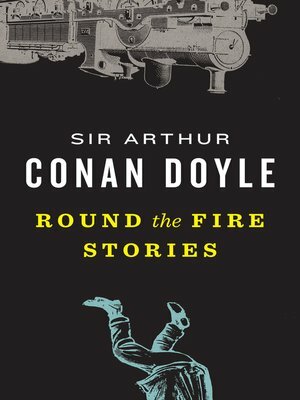 Originally published in 1908 and out of print for more than half a century, this collection of stories, complete with a Preface by the author, presents Sir Arthur Conan Doyle at his finest. These are seventeen tales of suspense and adventure, of the mysterious and the fantastic, meant to be read "round the fire" upon a winter's night. Murder, madness, ghosts, unsolved crimes, diabolical traps, and inexplicable disappearances abound in these exciting accounts narrated by doctors, lawyers, genetlemen, teachers, burglars, dilettantes, and convicted criminals. The titles are inviting—"The Pot of Caviare," "The Clubfooted Grocer," "The Brazilian Cat," "The Sealed Room," and "There Fiend of the Coopergate"—and the stoires are riveting. This is a rediscovered classic by a master storyteller. Sir Arthur Conan Doyle (1859-1930) is the author of sixty Sherlock Holmes adventures and many other novels and short stories. Born in Scotland, he was a practicing physician when he began writing stories of mystery and suspense.